The Sweet Story of Hot Chocolate! Warm up with the enticing history of hot chocolate in this fact-tastic nonfiction Level 3 Ready-to-Read, part of a series about the history of fun stuff! 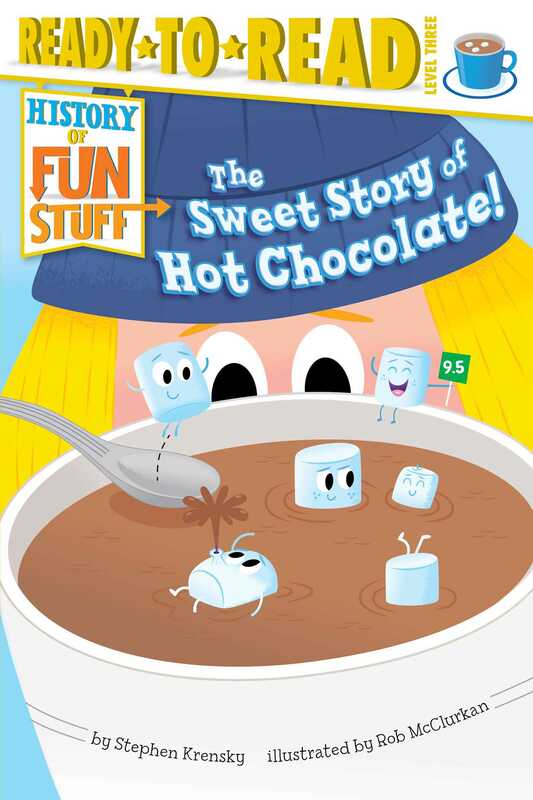 History of Fun Stuff: The Sweet Story of Hot Chocolate was named a 2015 NCSS-CBC Notable Social Studies Trade Books for Young People! Did you know that for thousands of years, chocolate was a beverage and not a solid candy? Or that soldiers in the Revolutionary War received a monthly ration of chocolate for drinking? Learn all about the history of America’s favorite wintertime treat in this fun, fact-filled Level 3 Ready-to-Read! A special section at the back of the book includes relevant info on subjects like social studies and science, and there’s even a fun quiz so you can test yourself to see what you’ve learned! Stephen Krensky is the author of more than a hundred books for children, including How Santa Got His Job (an ALA Notable Book) and Big Bad Wolves at School. He and his wife, Joan, live in Lexington, Massachusetts. You can visit him at StephenKrensky.com. Rob McClurkan is an illustrator and author whose imagination is fueled by a healthy dose of Saturday morning cartoons and Sunday funnies. He lives with his family just outside Atlanta, Georgia. To see more of Rob’s work, visit SeeRobDraw.com. Book Cover Image (jpg): The Sweet Story of Hot Chocolate!